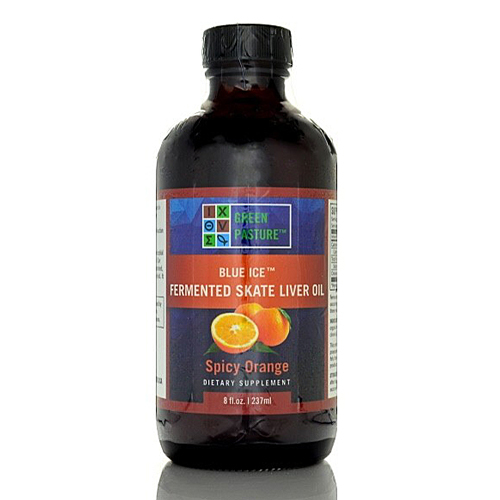 Green Pasture's Blue Ice Fermented Skate Liver Oil is available in 240ml bottles of Spicy Orange liquid or 120 x 500gm capsules. 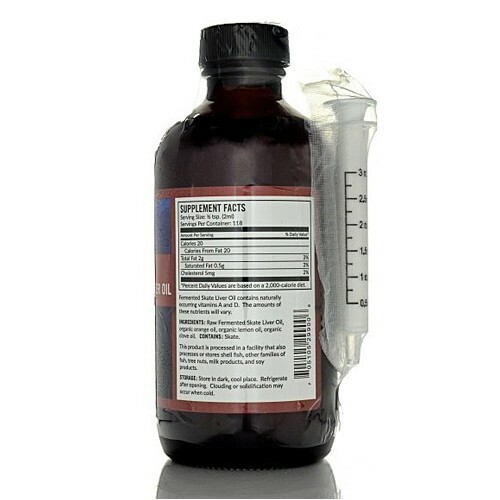 This is your best choice for cartilage fish oil. 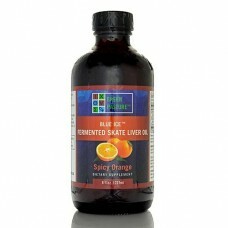 Skate liver oil is abundant in vitamins A, D, E, K and the full range of Omega fatty acids. 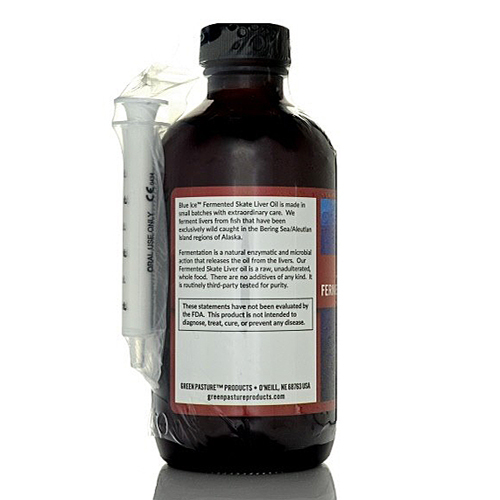 It also has unique nutrients that may help joint function and repair. It is a milder flavour than the cod, and some children who won't take the CLO liquid will take this one. It typically has a higher ratio of Vit D to Vit A than Cod Liver Oil. We have always thought the skate oil was a great product, and recently there has been a lot more interest in it, because of this video by David Wilcock which theorises that skate liver oil may be able to help decalcify the pineal gland. Dave Wetzel of Green Pasture advises that Skate Liver Oil contains the same X-Factor that the High Vitamin Butter Oil contains. Most people who react to other dairy can take the butter oil, but the skate liver oil is another alternative. Comment from the Weston A Price Foundation on taking Cod liver oil during pregnancy: "IMPORTANT WARNING: Cod liver oil contains substantial levels of omega-3 EPA, which can cause numerous health problems, such as hemorrhaging during the birth process, if not balanced by arachidonic acid (ARA), an omega-6 fatty acid found in liver, egg yolks and meat fats. Please do not add cod liver oil to a diet that is deficient in these important animal foods. It is important to follow our diet for pregnant mothers in its entirety, not just selected parts of it."